The smooth bike handle sets, children's carts, a toy driver's handle, a power tool handle set, an electric car motorcycle handle is shiny, looks like a sponge, extremely elastic, feel Gentle, do not hurt the hand. Matte side of the foam bike handle sets, children's carts handle sets, toy driver sets, power tools handle sets, electric car motorcycle handle, the surface is showing natural scrub, looks like high-grade, and slip performance. Our production of foam bike handle sets, children's carts handle sets, toy driver sets, power tools handle sets, electric car motorcycle handle, the use of high-quality raw materials, environmentally friendly non-toxic, micro porous materials, Structure, non-absorbent. Surface crust, closed cell structure, heat insulation, flexibility, high elasticity, with good shock absorption effect, cold, heat, anti-dry, flame retardant, durable. 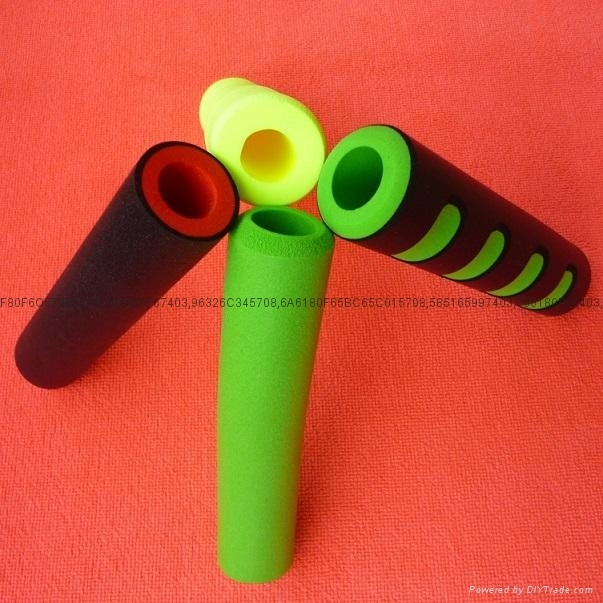 We specialize in producing high quality foam bike handle sets, children's carts handle sets, toy driver sets, power tools handle sets, electric car motorcycle handle. welcome to order!